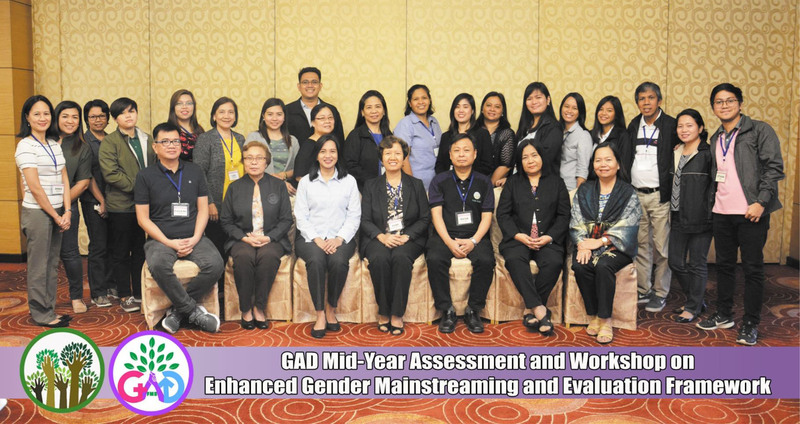 The FMB GAD Logo has a purple circle that symbolizes the Bureau's continuing commitment to mainstream Gender and Development in all its programs, projects, and activities. The clasped purple hands denote the unity of the women and men as represented by the pink cross and blue arrow in complementation efforts towards sustainable forest management as depicted by the green leaves. Adoption of the CSC Memorandum Circular No. 2005-12 "Use of Non-sexist Languange in all Official Documents, Communications, and Issuances"